ARC stands for Advanced Reader Copies. Many authors have advanced readers. Many of you may already know what advanced readers do. This post is for those who would like to know more. It is important to note that ARC readers are not paid. Advanced readers actually get to read a book before it is actually published. Authors provide book copies in PDF, Mobi, or ePub formats to the reader. Is the main character interesting? Does he/she act in ways that make sense? Does the plot crisis work or fall flat? What side characters might have a good story to tell? While the job of the advanced reader is not to edit or correct mistakes in grammar or spelling, most of the time, ARC readers will let the author know if there are really bad mistakes. Basically, the ARC reader is one of the first readers. One of the major advantages to the reader is to see the book first. For the author, the ARC reader provides feedback and, hopefully, is willing to provide a review when the book goes up on Amazon or another online retail store. It is important to understand that ARC readers are not paid for reading, commenting, or reviewing the books they read. While ARC readers read books before or just after publication, beta readers read books while they are being written. For instance, Arwen Chandler is my beta reader. As I write, I send two or more chapters to her for her to read. She lets me know if she finds mistakes. A good beta reader is hard to find. A good ARC reader is also hard to find. While it is against Amazon's Terms of Service to pay for reviews or trade reviews, the time-honored system of providing advanced reader copies to those who might be willing to write a review are acceptable. Amazon wants the ARC reviewer to state in the review that they were given an advanced reader copy of the book. This helps Amazon's customers to differentiate between ARC reviews and those who actually purchased the book from those who were given copies. Currently, I am seeking five to ten ARC readers. If you are interested, please contact me at author@lynnnodima.com. 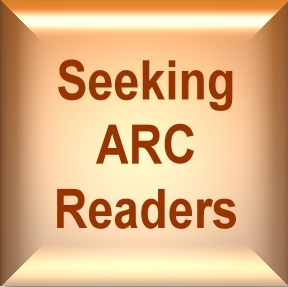 I look forward to hearing from anyone interested in being an ARC reader for me.